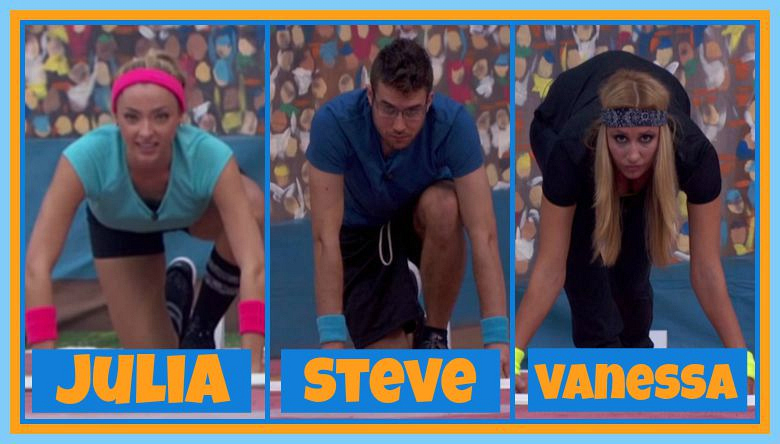 Question: Which Houseguests were eliminated for false starts in this week's HoH competition? Ready, set, blow it! This week's HoH competition had Houseguests squatting in a runner's stance, prepping to be the first to sprint across the finish line when the prompted by the word "Go." However, while poised at attention, each competitor had to keep both hands and one foot on a red button at all times, or they would receive a false start. That proved to be no easy feat because half of the Houseguests bowed out of the comp due to button blunders.